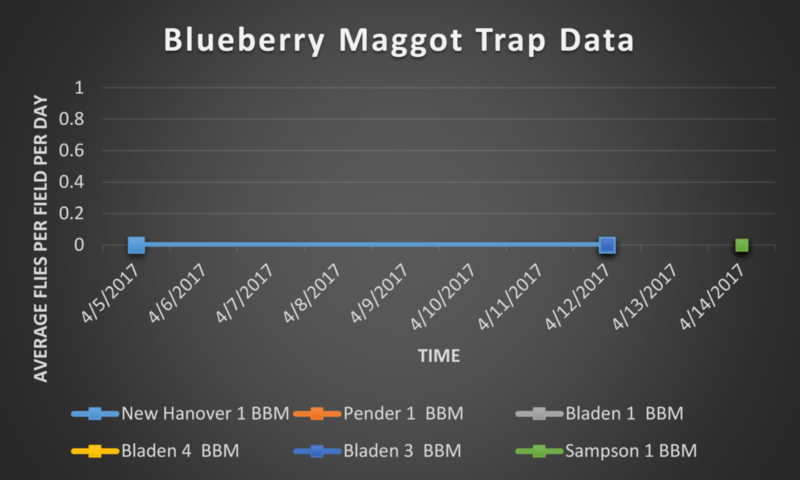 In order to aid growers and other interested parties to monitor blueberry pest activity and help management decisions, we have established trapping sites around North Carolina in blueberry fields. These sites are located at a mix of commercial farms and research stations. Each site is named after the county is located in and a number distinguishing it from other sites in that county. 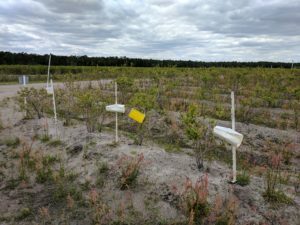 At each location we have established 5 trapping stations, which will monitor four key blueberry pests during the growing season. Each trapping station consists of one spotted wing drosophila (SWD) trap baited with a yeast sugar-water mixture, one white “wing” sticky trap baited with a pheromone lure attractive to male cranberry fruitworm moths, one white wing trap baited with a pheromone lure attractive to male cherry fruitworm moths, and one yellow sticky trap baited with ammonium bicarbonate to attract blueberry maggot flies. 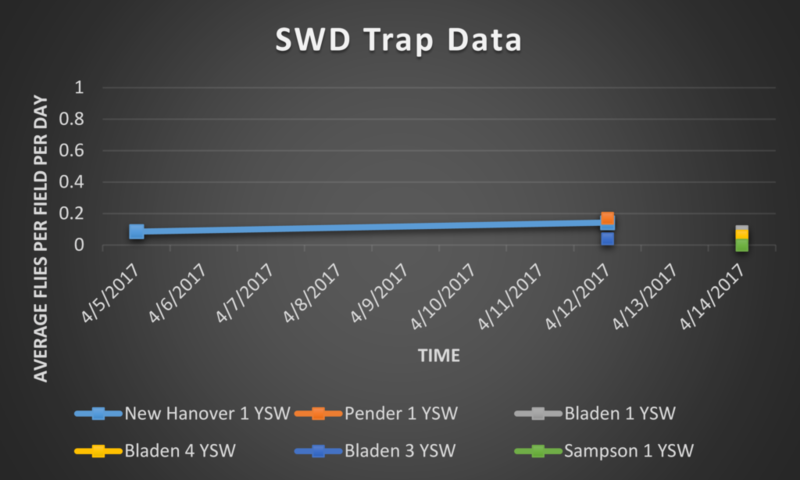 Four SWD were captured at New Hanover 1, six SWD were captured at Pender 1, 1 SWD was captured at Bladen 3, 3 SWD were captured at Bladen 1, 2 SWD were captured at Bladen 4 and no SWD were captured at Sampson 1, during this trapping period. 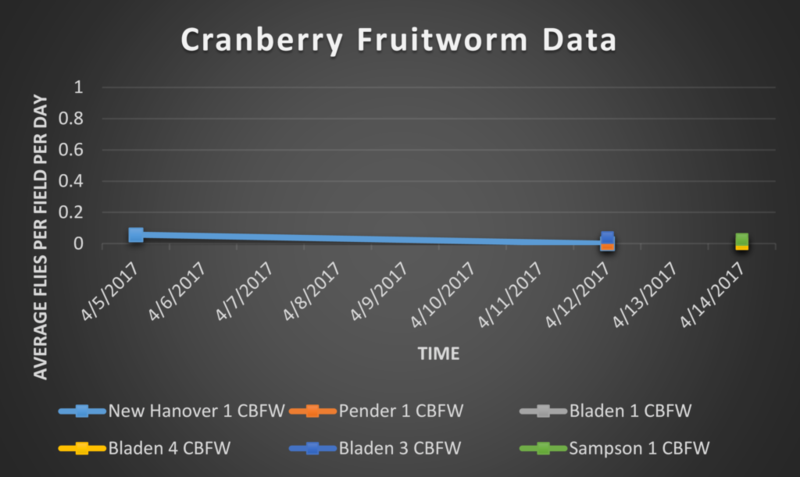 One cranberry fruitworm moth was captured at Bladen 3, and one cranberry fruitworm moth was captured at Sampson 1, during this trapping period. 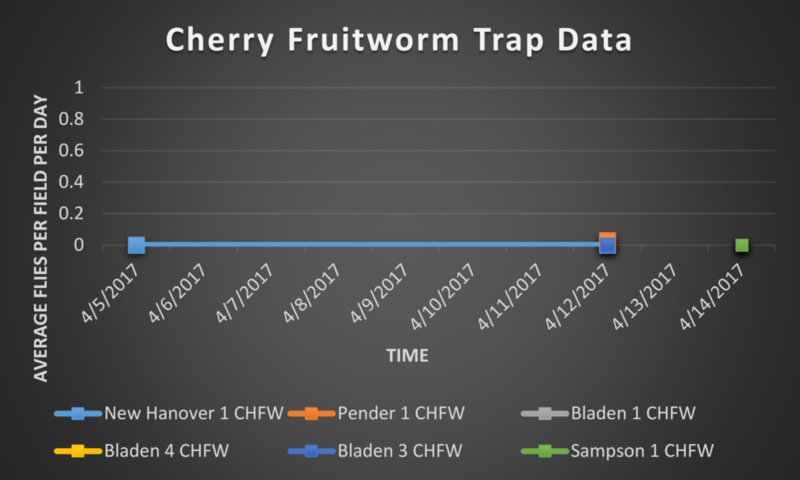 One cherry fruitworm moth was captured at Pender 1 during this trapping period.